There’s one side-effect of the game mechanics changes in 3.0.2 and the new spells in Wrath that many people haven’t realised: Intellect is now the primary regen stat for raiding holy Paladins. To see how these balance out against mp5-based regen, let’s look at the value of 500 Intellect. 500 Intellect is worth 7500 mana, which means Divine Plea can return up to 1875 mana per minute, equivalent to 156.25 mp5. 7500 mana also allows Replenishment to return 18.75 mana per second, equivalent to 93.75 mp5. 500 Intellect therefore gives 250 mp5, assuming you have constant Replenishment uptime (which is not a given; it depends on the composition of your raids, and your Replenishment buffers’ ability rotations) and that you use Divine Plea on every cooldown. However, looking at the item value of Intellect vs mp5, 500 intellect only costs you 80% of the itemisation budget of 250 mp5, meaning that if you have ready access to Replenishment, Intellect is ‘cheaper’ than equivalent mp5 for regen. What if you don’t have ready access to Replenishment? 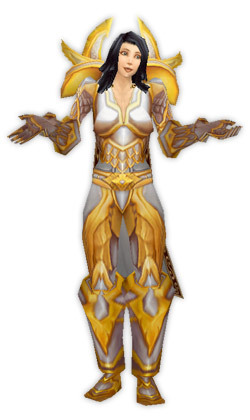 What if your raid only has one shadow priest and no ret pallies or survival hunters, and you’re fighting with 15 other mana users for Replenishment? Well, most of the regen value of Intellect is from Divine Plea; as you can see from the numbers above, you only need a 47% uptime or better on Replenishment for Intellect to become better itemisation value than mp5. This fact is even more true for Holy paladins, who get spellcrit-based mana return (when healing) from Intellect. From combat ratings calculations by Whitetooth at Elitist Jerks, and using the example above, 500 Intellect at level 80 gives 3% Spell Crit. The value of this in terms of mp5 is hard to calculate, because it depends greatly on your spell rotations in a level 80 raid â€“ but it’s certainly a significant boost to spell throughput and mana return, which just strengthens the value of itemising for Intellect rather than mp5. In a very, very rough estimate of modelling the effect of spell crit at 80: assuming a ratio of 60% Flash of Light, 20% Holy Light and 20% Holy Shock, and that you’re chain-casting, 3% spell crit returns mana equivalent to approximately 33mp5. If you incorporated this into the numbers above, you’d only have to have Replenishment 12% of the time instead of 47%. Obviously, this is highly variable depending on your casting rotation and frequency. Assuming you can use Divine Plea on every cooldown, and have at least some access to the Replenishment buff, gearing for Intellect is a stronger option than gearing for mp5.